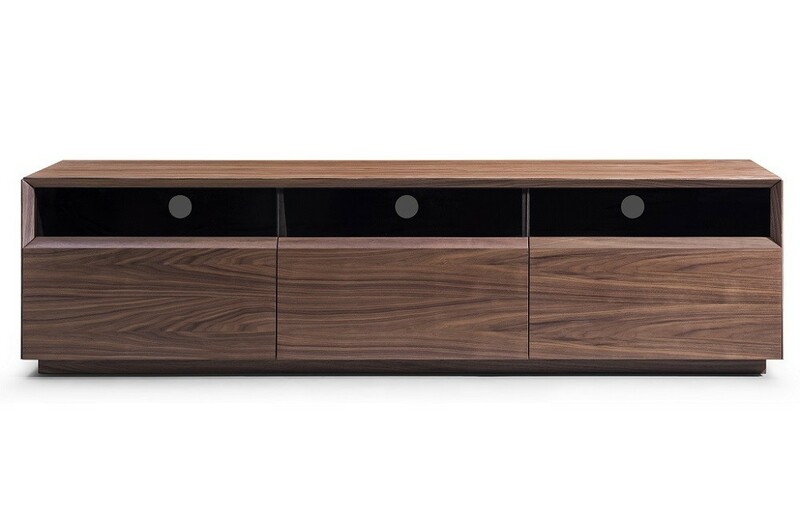 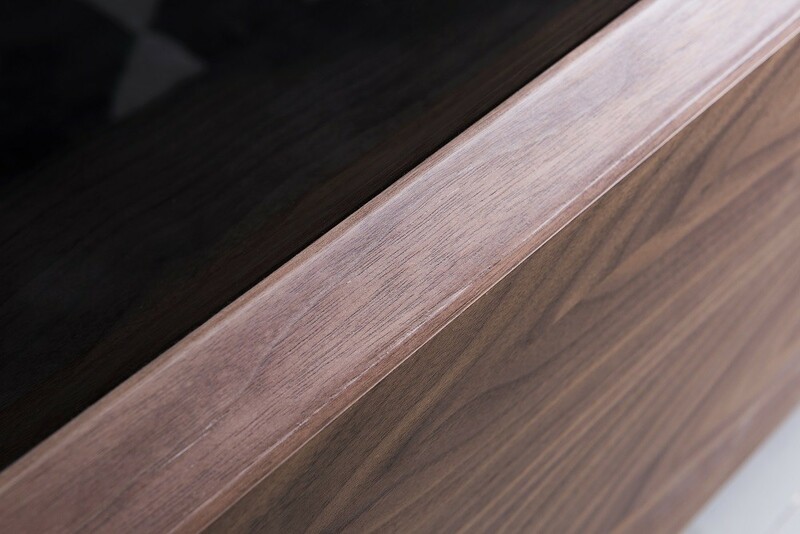 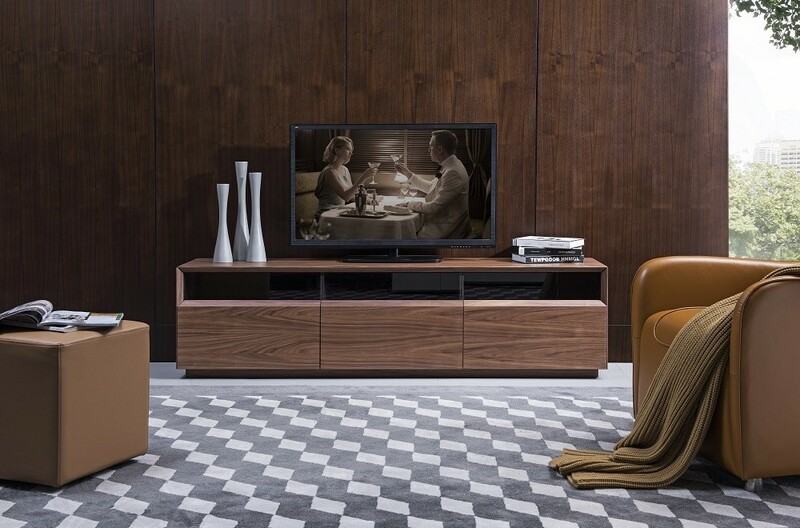 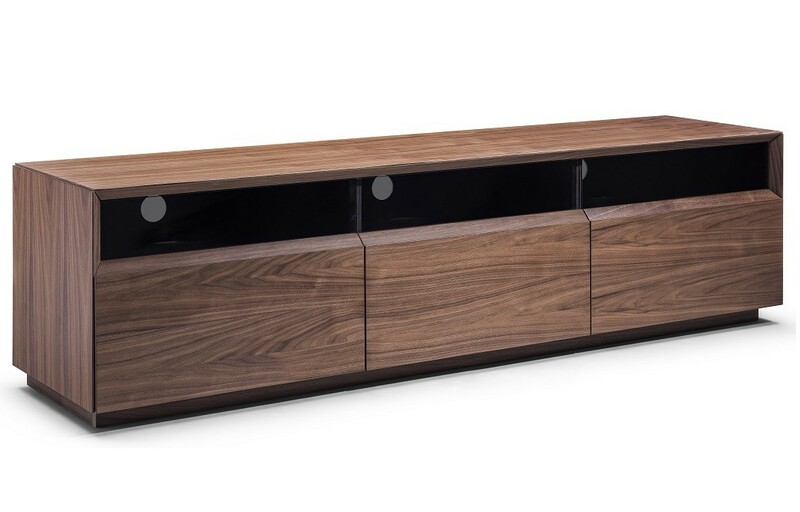 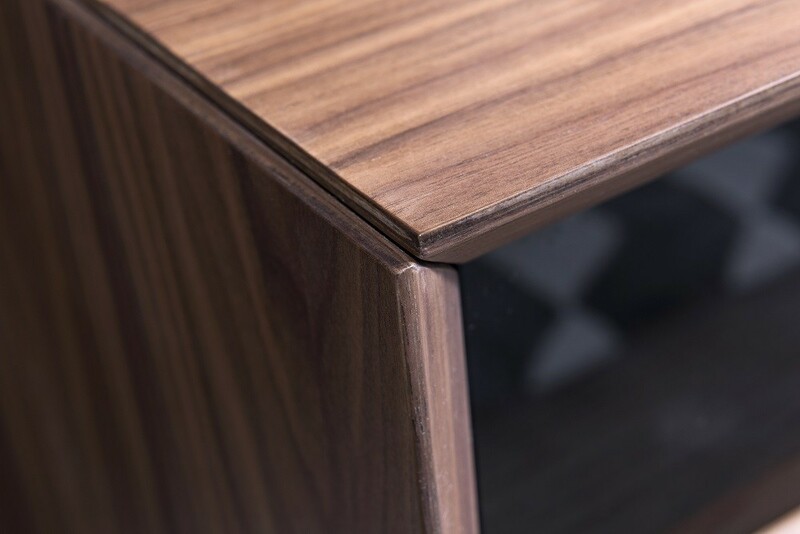 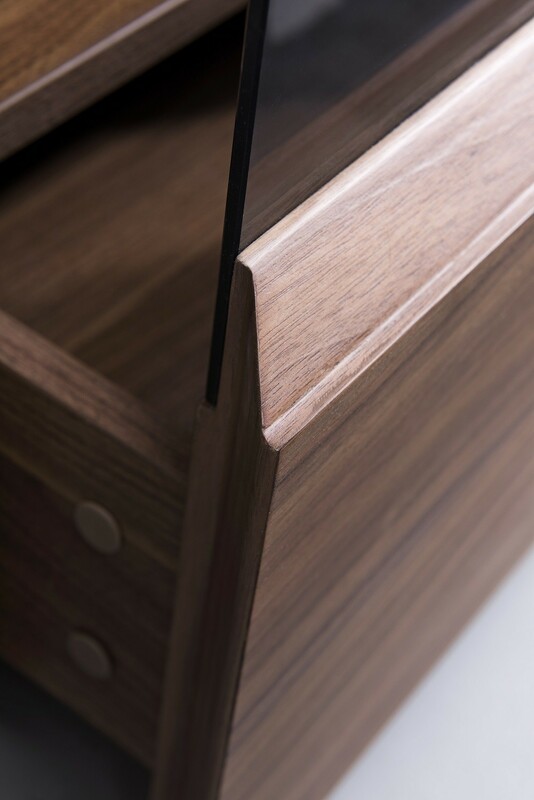 Contemporary TV stand crafted in Warm Walnut Veneer. 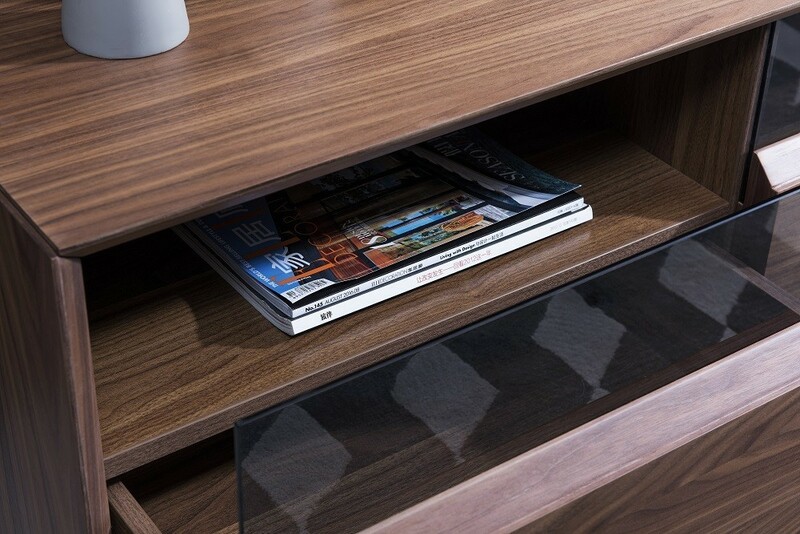 Perfect for any kind of room setting. 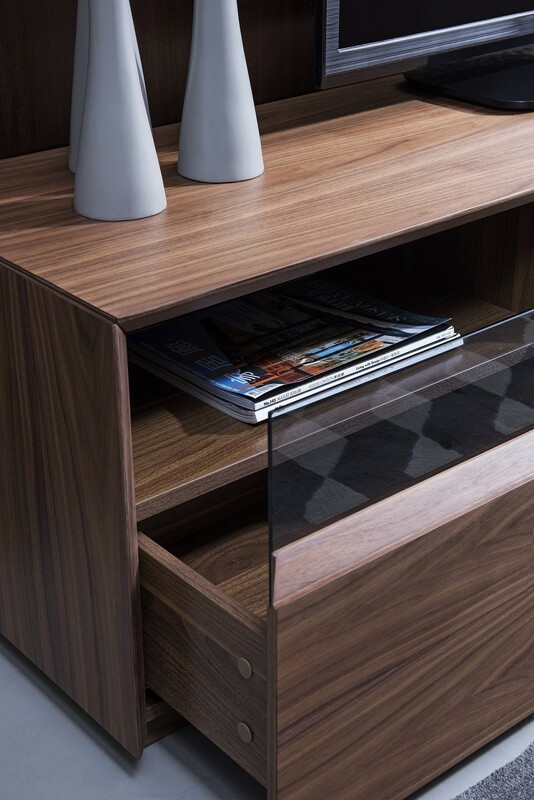 Also available in White High Gloss, Dark Oak, & Grey High Gloss.